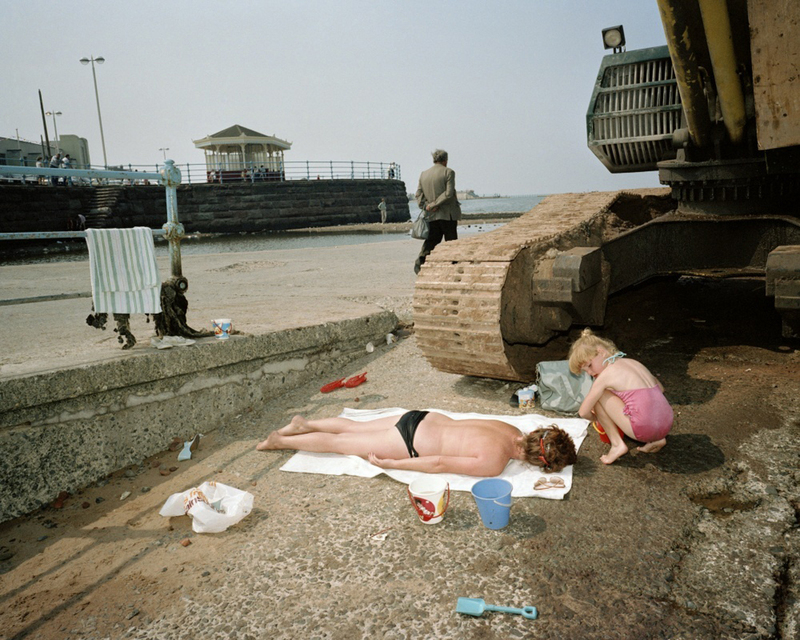 British photographer Martin Parr is a true master of social commentary, capturing humanity in all of its follies. He frames the revealing moments – often highlighting cultural peculiarities – with quirky precision and presents them in ultra-vivid color. Growing up in the English suburbs of the early 1960s, Parr’s passion for collecting and his grandfather’s enthusiasm for photography laid the groundwork for his career as a documentary photographer; he went on to study photography at Manchester Polytechnic from 1970 to 1973. In recent years, he has developed an interest in filmmaking and has started to use his photography in different contexts such as fashion and advertising. In 1994, he became a member of Magnum Photos after much debate over his provocative photographic style. The Barbican Art Gallery and National Media Museum initiated a large retrospective of Parr’s work in 2002; the exhibition toured Europe for the next five years. Parr has published a multitude of artist’s books including Life’s a Beach (2012), Mexico (2006), Common Sense (2002), Small World (1995), The Cost of Living (1989) and Last Resort (1986). Additionally, he is an expert in the subject of photo books, collaborating on a series of volumes tracing the major trends and movements since the genre’s birth. In 2004, Parr was appointed a professor of photography at the University of Wales Newport campus. He served as a guest artistic director for Rencontres D’Arles in 2008 and curated the Brighton Photo Biennial in 2010.